KIGALI, RWANDA (THE STAR, KENYA) -- The European Union and its free trade agreement took decades to establish. Africa is now hoping it can achieve the same in a fraction of the time. But with Nigeria pulling out, questions are being raised over just how achievable it really is. The vision is a free trade deal encompassing 1.2 billion people stretching from Cape Town to Cairo. Goods, services and perhaps labour, flowing freely in and out of more than 50 African countries. It could create tens of thousands of jobs and significantly reduce unemployment among the continent's youthful population. It'll boost trade between African countries and be instrumental in moving the whole continent away from the narrative of simply being a place where the powerhouse economies of the West and East come to get their raw materials. Many African governments, naturally, are keen. The South African department of trade and industry says it's "committed to a coordinated strategy to boost intra-Africa trade and to build an integrated market in Africa that will see a market of over a billion people with a GDP of approximately $2.6 trillion (£1.85trillion) ". And Kenya's trade ministry says it'll not only create a massive liberalised market, but will also "enhance competitiveness at the industry and enterprise level, enhance value addition of products and exploit economies of scale and optimum utilization of resource". But the deal has already hit its first hurdle. Nigeria announced at the weekend that President Muhammadu Buhari would not attend the ceremony in Kigali. In a statement, the Nigerian government said that "certain key stakeholders in Nigeria indicated that they had not been consulted, for which reasons they had some concerns on the provisions of the treaty". Those key stakeholders are both Nigeria's business community and its trade unions. The trade unions are thought to be particularly concerned about a free trade area, given that it could develop into a much more integrated body, which would see the free movement of workers across borders, providing a possible threat to Nigerian jobs. The fact that Africa's largest economy wasn't at the launch has placed a dampener on proceedings and a question mark over the entire project's viability. Even if all parties do eventually agree to sign a free trade treaty, that is simply where the real work begins. How quickly can such an agreement to put into practice? When will it make a difference on the ground? Until a business can move its goods from any country in the Free Trade Area to any another almost as if borders don't exist the proclamations on paper will count for very little. 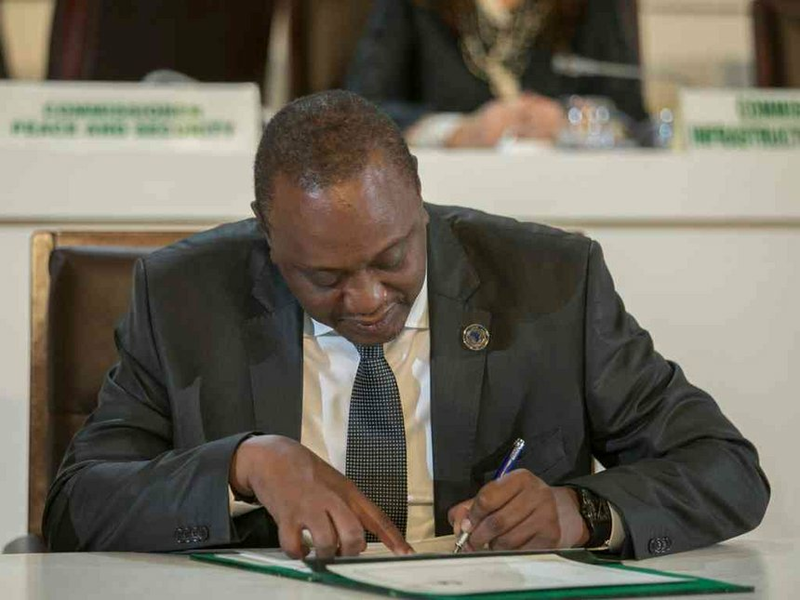 Under a free trade area agreement, all the African signatory countries will have to agree to reduce the trade tariffs and import quotas between each other and boost intra-African trade. Generally speaking, it's the first stage of closer economic co-operation with a view to possible integration. The next stage would be a customs union, where each country would have the same tariffs with the outside world and low or no tariffs between each other. Then comes a common market, where goods, services and labour move tariff and quota-free between the countries and the bloc has a common trade relationship with the rest of the globe. Further integration involves political union and a unifying single currency. All of this took the European Union more than 50 years to establish following the Second World War. Some integration already exists in Africa - the East African Community and the Southern Africa Customs Union are examples. But for a continent-wide free trade area to really work there has to be significantly more cross-border trade within Africa. This is currently a challenge, as most African countries tend to trade more with the outside world than they do with their fellow African states. Indeed, intra-African trade accounts for about 16 per cent of the total - in Asia that figure is 51 per cent and in Europe it rises to 70 per cent. Another challenge is the sheer size of Africa - not just geographically, but also in terms of the number of countries that need to sign up and ratify the free trade area agreement. When the European integration process started in the early 1950s, just six countries were involved. More than 60 years later, the European Union has 28 members. Africa has 54 countries. So, implementation and co-ordination are key. For a start, the parliaments of the all the countries need to ratify it. How long those political wheels take to turn is anybody's guess. The African Free Trade Area is a big task and, in a way, a big ask. But if it's the first tentative steps toward greater economic ties and trade within Africa, the continent's citizens will feel its benefits. How quickly that happens depends on the enduring enthusiasm, focus and determination of the leaders who pen the deal.